Have you ever wondered what the resulting product would look like if Apple decided to focus on designing, developing and manufacturing an intelligent robot that tried to capture the design philosophies of its most iconic, design-led products of old? 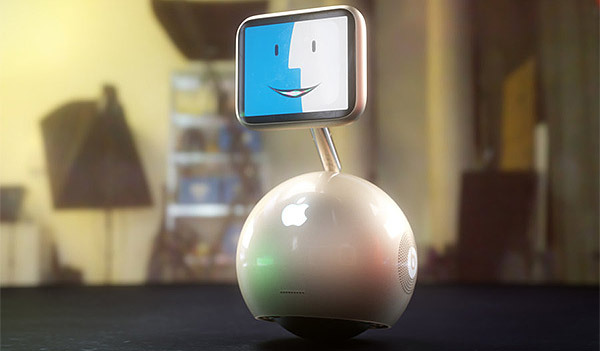 Well, the likelihood is that Apple won’t enter the home-based robot market anytime soon, but what if it did? According to a new concept design, the company’s first robot-creation could look exactly like iRis, a quirky little intelligent robot. Of course, it’s a concept only, in case you get excited reading further. Apple has already penetrated the smartphone market, as well as pretty much created a market for and driven consumer demand for tablet computers. The business was formed with the intention building Mac computers running its own proprietary operating system, and with recent branching out into intelligent watches and set-top boxes for the living room, it’s still unanswered what Apple’s next hardware direction will be. Some say the Apple Car, whereas others clearly like to think we could have an Apple-branded robot rolling around our homes. iRis, which is Siri in reverse if you hadn’t worked it out already, has had its design based on Apple’s iconic iMac G4, but obviously sports a smaller LCD display mounted to the top of the main orb. Movement wise, the company imagines that it would move and traverse the environment in exactly the same manner as the extremely popular Sphero BB-8 Droid toy that rose to popularity on the back of Star Wars: The Force Awakens. The robot would come with the ability to live broadcast everything that it sees, as well as have a built-in vacuum cleaner, Beats stereo speakers, and wait for it, a laser pointer; perfect if you have cats in the house. 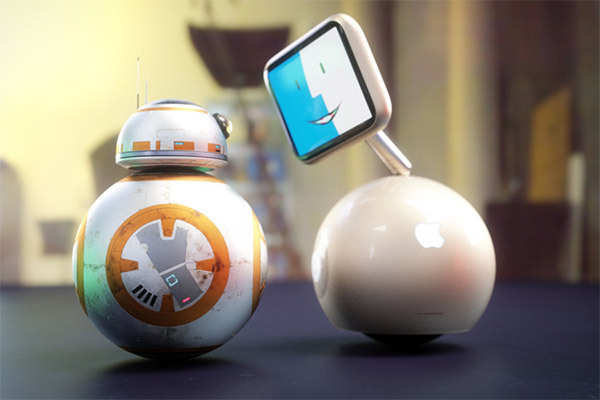 Of course, any robot of this nature needs to come with some form or intelligence, meaning that the people responsible for coming up with this concept have afforded Siri with the ability to control the device through voice commands, which presumably involves the integration of HomeKit compatibility. It’s relatively cute. It has the ability to act as a mobile home security camera that can whizz around your property, and of course, like most intelligent home automation based products, it also has the ability to remind users of upcoming appointments, check the local weather, and even contact friends and family. Now, if only it was a real Apple product that we could actually have in our houses.